Factory Five Racing built a Type 65 Coupe during SEMA with Ford Performance starting with just a bare frame. 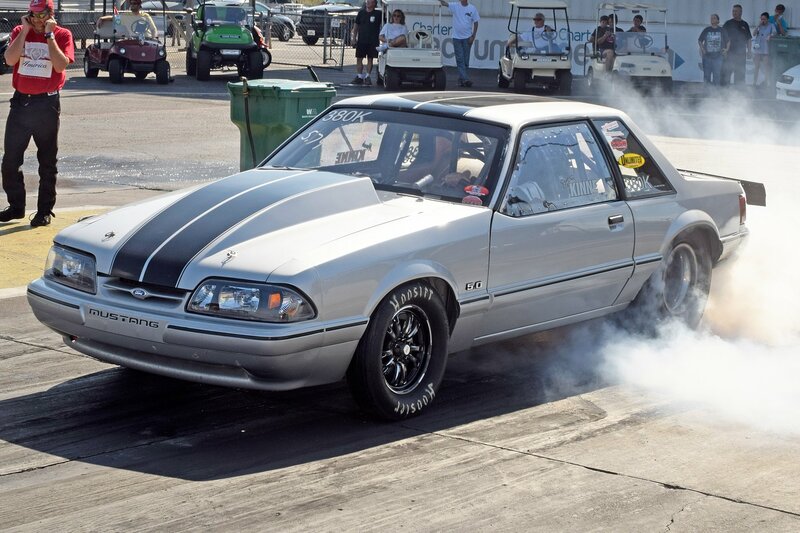 The goal was to drift the car at the end of the show using a Ford Performance crate engine for power. In just 30 hours, the Factory Five build team took a pile of parts and turned it into a functioning race car. Factory Five Racing’s fearless leader Dave Smith talks about the build and as always, is affable, approachable and passionate about what he’s doing. He mentions that Factory Five cars are “built to be built,” and with today’s cornucopia of state-of-the-art components available to everyone, it’s never been easier to build a world-beating rod. All one has to do is set up “final assembly” in a garage and order your components and get to work. Dave says by offering killer sub-assemblies from Ford Performance, (Coyote 5.0 motor and transmission,) Wilwood Brakes, Koni and other suppliers, a guy can build a car in a couple hundred hours. With the team of seasoned FFR techs, they built their Type 65 Coupe in roughly 30 hours. From there, it was to the autocross track and a thorough hammering was conducted. Factory Five Racing was founded in 1995. Over the years they’ve have grown from a start-up business in a small garage to become the world’s largest manufacturer of “build-it-yourself” component car kits. They employ a full-time crew of about 40 people, and are located in Wareham, Massachusetts (about an hour south of Boston). We make our products right here in the USA, in the heart of New England where American manufacturing was born. FFR showed off this brutal red Type 65 Coupe as well at SEMA 2018.